With her little girl stage persona, black cat, and nonsensical songs, Irish singer May Belfort charmed Parisian audiences at a time when there was growing interest in British entertainers. On view in Toulouse-Lautrec Illustrates the Belle Époque are three iterations of this work: a rare trial proof (one of only three known impressions) and two finished posters (one of which incorporates the name of the venue where Belfort performed). 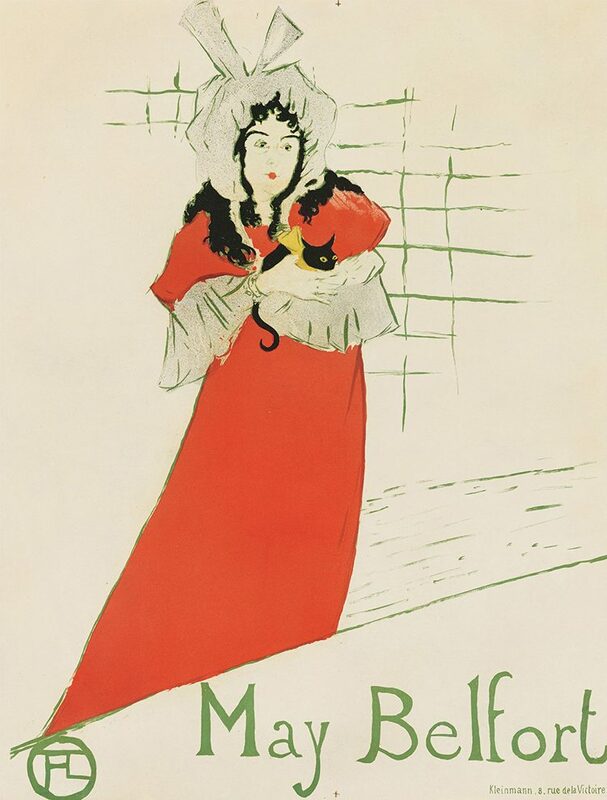 All three show how effectively Toulouse-Lautrec isolated color—seen in Belfort’s trademark ruby red lips and dress—to package and promote performers. Similar in size, May Milton is considered a pendant poster. The two performers were romantically involved.